The Gujral Foundation is delighted to announce "My East is Your West", a Collateral Event of the 56th Venice Biennale, which unites for the first time at the Venice Biennale the historically conflicting nations of India and Pakistan in a collaborative exhibition by artists from both countries. Born out of the desire to reposition the complex climate of historical relations between the South Asian nation-states of India and Pakistan, "My East is Your West" will present these two countries as a singular region within the context of the Venice Biennale. The thought of how the world would have been different had India and Pakistan not been measured by borders lies dormant but is ever present. 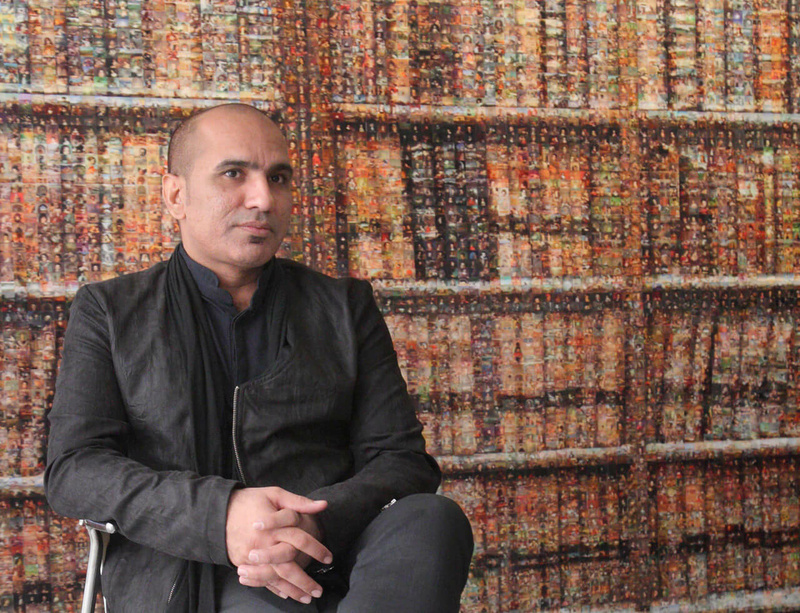 In view of their practices, and as one artist from each country, Gupta and Rana have been invited to work together to create a unique presentation that will express the integral essence of a people divided, a history which spans antiquity, colonial modernity and a cosmopolitan present entangled in conflict. This journey towards conceiving a shared platform in Venice builds on the artists’ concerns to negotiate between the individual and the communal in relation to the “everyday” experiences of collective consciousness. Within their practices both artists explore notions of location and dislocation, transnational belonging, and the impact of cultural and political conditioning in determining our relationship to geographical and national territories. With works that challenge the modern nation-state and its divides, Gupta and Rana have developed a material aesthetic that surveys the potential of a common region, separate from the state and its model.